The central element of the composition is an artwork by Olga Miliaresi-Phoka, covering the largest wall of the room. The wallpaper acts as a thematic background for the main space. 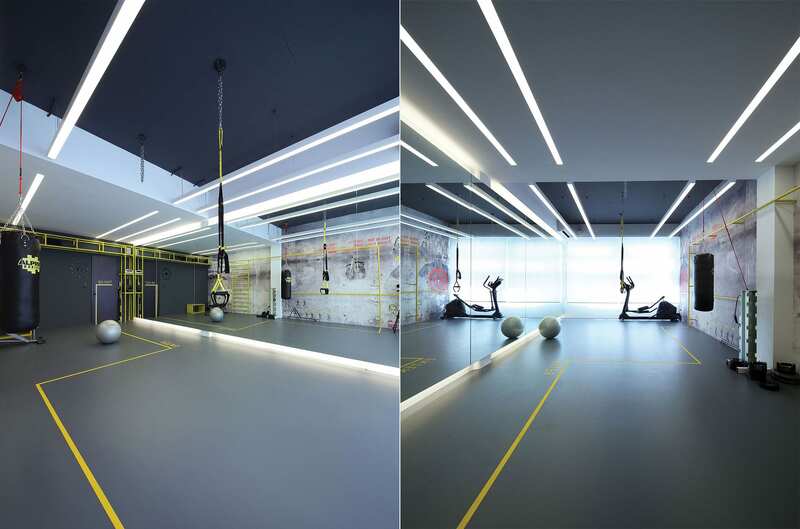 The continuous metal pipe structure in front acts as a gym aid as well as an architectural element which creates continuity in space. 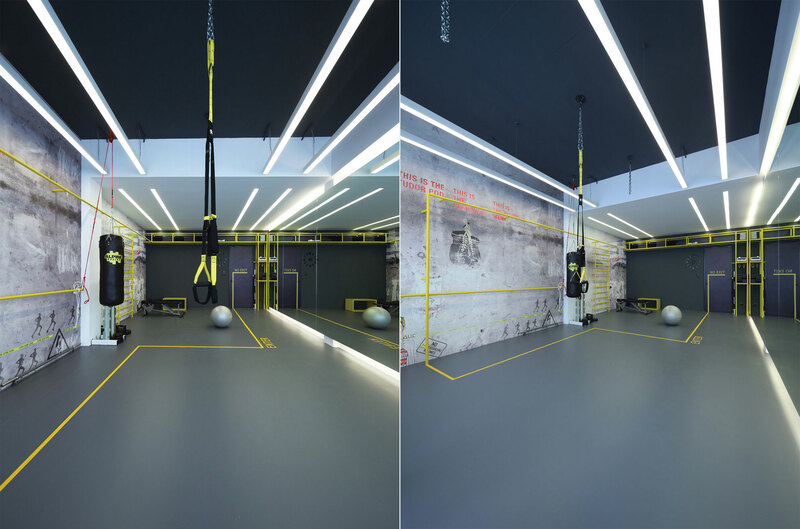 The main colors used are white, dark gray and yellow in order to create dynamic vibrant feeling to the space.